At the food festival, people can enjoy the experience of Lahore’s Anarkali Market and its cooking style. Guwahati’s north Indian restaurant, Rang De Basanti Urban Dhaba, is hosting a special Undivided Punjab Food Festival from Tuesday. The food festival offers a variety of dishes, both vegetarian and non-vegetarian from the erstwhile Undivided Punjab. During the food festival at Rang De Basanti Urban Dhaba, people can enjoy the experience of Lahore’s Anarkali Market and its cooking style. The menu includes Mix Boti Taka Tak, Pota Kaleji Tata Tak and Mix Subz Taka Tak. Also, the festival brings the experience of Peshawar’s unique Charsi Karahi through Chicken Tikka Karahi and Paneer Tikka Karahi. 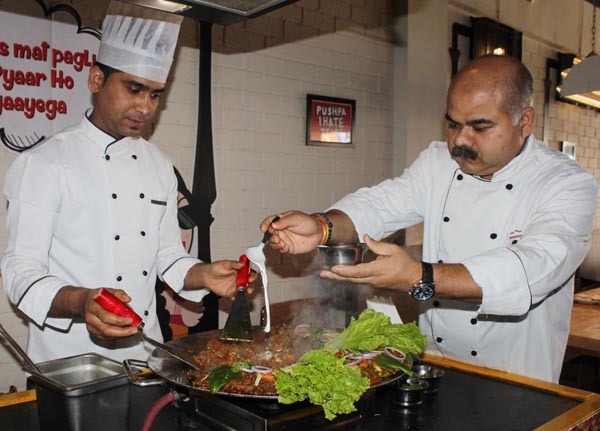 Rang De Basanti Urban Dhaba is bringing the magic of Maharaja Ranjit Singh’s kitchen where historical Chef Beliram created this delicacy called ‘Gosht Beliram’. The dish goes well with Khamiri roti which will also be available during the festival. Rang de Basanti Urban Dhaba is a modern take on the traditional concept of dhabas. Since its opening, this restaurant has been attracting foodies from the region with their interesting blend of food.